Art Gallery Hours: Mon-Sat 10 a.m.-4 p.m., Sun 1-4 p.m. In the 1880s, when several East Coast newspapers disparaged Minnesota’s winter, comparing it to Siberia, local business leaders set out to prove them wrong. 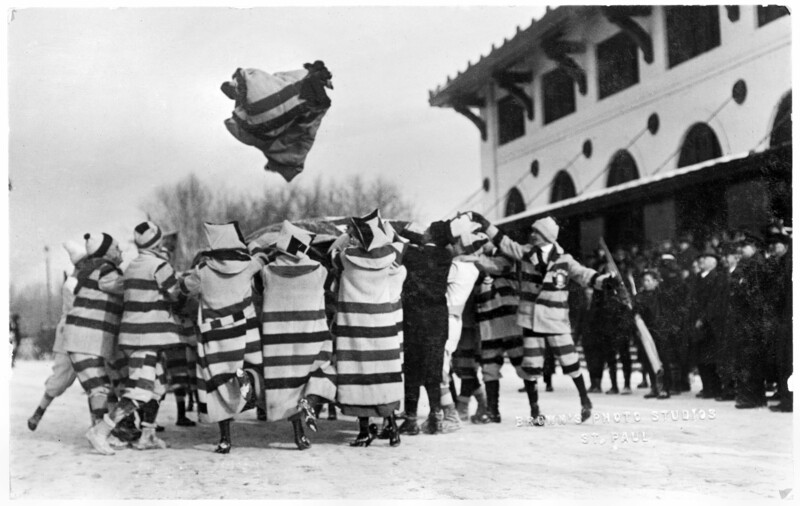 In 1886, the Saint Paul Winter Carnival was started to celebrate all things Minnesota winter, and after more than 130 years, it’s now the oldest winter festival in the United States. 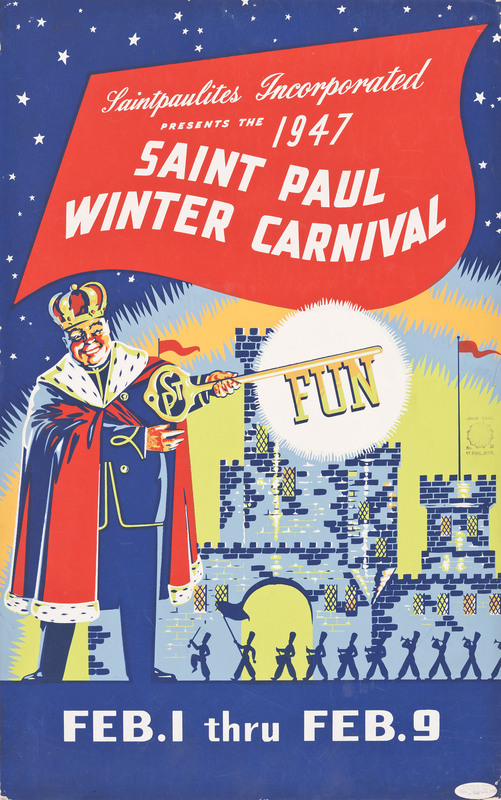 In the new exhibit, “Parades, Palaces and People: St. Paul Celebrates Winter,” visitors can discover the history of this St. Paul tradition and see Winter Carnival artifacts from MNHS collections, including clothing, historic photographs, artwork and more. The exhibit opens Sunday, Jan. 28 in the James J. Hill House art gallery and will be on display through Monday, April 2. Hill House visitors can also enjoy Winter Carnival-themed house tours and learn about the Hill family’s involvement with the festival the weekends of Jan. 27-28 and Feb. 3-4. 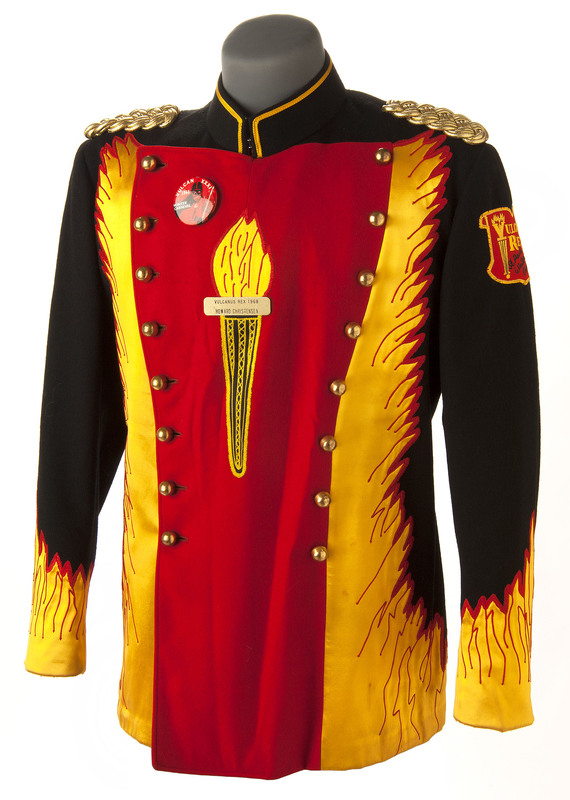 Visitors can also receive a free child admission with a paid adult ticket when they show a 2018 Winter Carnival button at James J. Hill House or the Minnesota History Center during the festival’s run, Jan. 25-Feb. 10.